DYK: How To Turn Quick Start Back On? 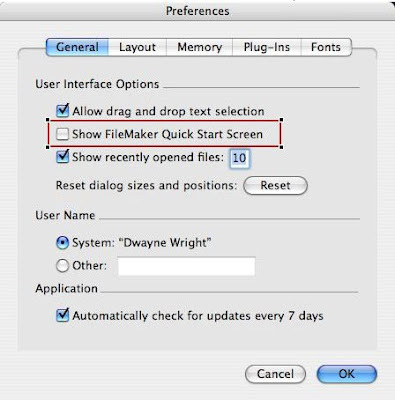 The FileMaker 9 quick start dialog can be turned back on via preferences. Newer PostDYK: Quick Start had a favorite files section?